Fondia | Newly certified Privacy Professionals at Fondia! Privacy professionals are the gatekeepers of trust in today’s data-driven global economy.They enable the organizations manage rapidly evolving privacy threats and mitigate the potential loss and misuse of information assets. The IAPP, International Association of Privacy Professionals is the first organization to publicly establish standards in professional education and testing for privacy and data protection. IAPP privacy certification is internationally recognized as a reputable, independent program that professionals seek and employers demand. 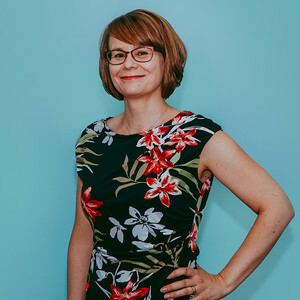 As of the beginning of October this year, our Finnish Senior Legal Counsel Sari Koskela was recognized as a Certified Information Privacy Professional in Europe (CIPP/E). The Certified Information Privacy Professional/Europe (CIPP/E) credential demonstrates a strong foundation in European privacy laws and regulations and understanding of the legal requirements for the responsible transfer of sensitive personal data to and from the U.S., the EU and other jurisdictions. Fondia’s privacy offering is on a very high level as our Swedish lawyers Bahar Malavan Naryndji and Daniel Remnert were granted the certificate of Certified Data Protection Officer from IAPP this autumn and strengthen the Fondia’s service on privacy matters even for companies looking forward to outsource their Data Protection Officer function. The CIPP and CDPO are part of the global standard system in privacy certification. Developed and launched by the IAPP with leading subject matter experts, the CIPP is the world’s first broad-based global privacy and data protection credentialing program. The CIPP/E is the first professional credential specific to European data protection professionals that is part of a comprehensive, principles-based framework and knowledge base in information privacy. The CIPP/E encompasses pan-European and national data protection laws, the European model for privacy enforcement, key privacy terminology and practical concepts concerning the protection of personal data and trans-border data flows. Sari now joins the ranks of more than 10,000 professionals worldwide who currently hold one or more IAPP certifications. Congratulations!